We have just released a bunch exciting new Features for DomainTyper to help you to get more information about each domain extension. We believe that these specific information about each domain will help you to find the most suitable domain extension for your brand new website. For those who interested about the New generic Top-Level Domains we put together a New gTLD wiki where we constantly update the information about the new domains. You can find here all country code Top-Level Domains sorted by regions ( Europe, North America, South America, Africa, Asia, Oceania, Antarctica). If you want to know more about a special country domain extension, just click on the extension and you can find more information. For an easier transparency we tried to visualize the most important information you need for a domain registration. 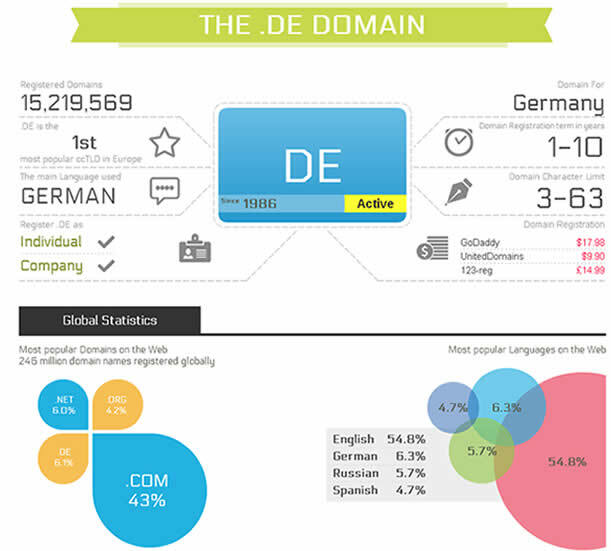 You can find a similar infographic about each Generic Top-Level Domain or the New gTLD. You can find here the all 31 generic Top-Level Domains and information about each domain extension. New gTLD is the abbreviation of New generic Top-Level Domains. In 2011 ICANN (Internet Corporation for Assigned Names and Numbers) announced a program to the liberalization of the top-level domain market. The goal of the New generic Top-Level Domain Program is to increase the competition, innovation and consumer choice in the addressing system of the Internet. We collected all the 1930 new domains and sorted it in 26 different categories. You can find information about each New gTLD. We also display a list of applicants and a list about each applicant with their new domain applications. Now you can browse by categories or by companies. Search for each applicant or each New gTLD. 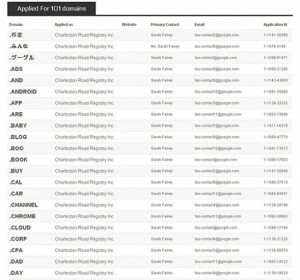 We constantly update our information about the New Gtlds status. 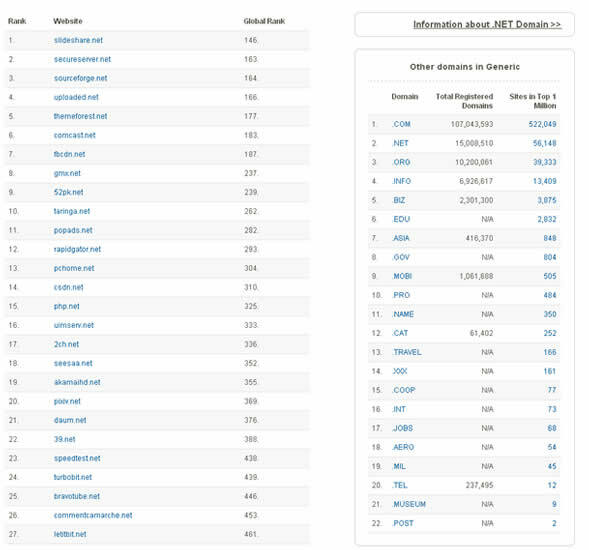 For the sake of completeness we created the list of the most visited websites. These are the top 1 million most visited websites of the world. We filtered these websites by domain extensions so you can see the top websites with the given extension. You can check the most visited websites, with each generic or country top-level domain endings. The table ordered by the most popular domain with the specific domain ending, but it also demonstrate, that a given website is at which position in the global ranking. The table on the side displays the rest of the domains in a given category. 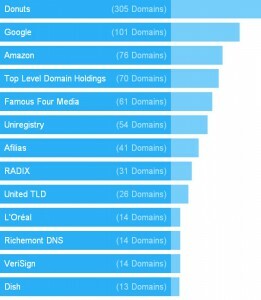 We also show you the total number of domain registrations and the number of websites in the top 1 million with the given domain extensions. We made all these new features to you with hope that you will love it. We truly believe that it helps and inspire you during the search of your perfect domain name! Tags: Tagged: CCTLD, gTLDs,, new features, New gTLD. © 2008 - 2018 DomainTyper. All rights reserved.